5 Lads and Debbie may not be the team name of the year, but having to make a decision 10min into the quiz, was all we could muster, not a good start. November quiz was the turn of the Gig Members to organise, and what a great night, to be greeted on arrival with Fish and Chips (pre ordered), bar fully stocked and the banter between gigs and sailing fully flowing, it was time for the serious stuff to begin. Our Bamber Gascoigne for the night was John (no not me) and his assistant Nadine who both fully admitted it was their first Quiz compering. 5 Lads and Debbie were safely seated next to the Bar, in between another sailing team led by the over zealous Iain Jones, and A Gig team whose star player had fallen asleep after 7 questions, maybe it was the nervous 7 gins beforehand. Back to the team, 6 members were allowed, which was just as well, we were going to need all the help we could get with questions like, " what was the name of the Gig that crossed the Atlantic in 1782 after just completing the Weymouth regatta during the invasion of France" yes, this was not going to be easy, luckily for us, we had roped in a Gig member, Dave, who looked and was the brains in that department, in fact we had it all covered on the night, Cruiser Captain Nick, Roger "pick me for foredeck" Chris, I've got a Bilge keel, Debbie, our scribe and brains and yours truly, I was given the important job of Bar Runner. After 75 Questions with a break in the middle to purchase Home made cakes for Charity, we sat nervously waiting for the results, Nick, Roger and myself at this time were still looking at Q7 on the Dingbat quiz, deciding if was " know or No" (you had to be there). Approx 50 turned out for the quiz, and yes you guessed it, 5 Lads and Debbie were clear winners, ( why else do you think I'm writing this on a Sat Morning) prize money for the winners £40, so after buying a winning pint, like we hadn't had enough, except Nick who has taken a liking to Alcohol free beer, which has seen the clubs profits drop by 20%, we decided to put the rest back into the charity for the night, which with the cake sale, raised approx £70. 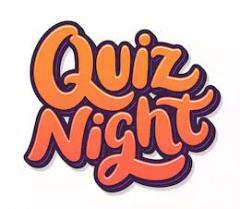 If you fancy joining in the next quiz, December, get in early, it's going to be busy based on this occasion.